Every emotion it’s possible to feel, you’re feeling it. 1. Will I have a look in Penneys? I will. Sure it’s on my way home. 2. I forgot that any Penneys in Ireland at any time after 10am is HELL ON EARTH. 3. Everyone else here needs to keep far away from me. Far, far away. 4. Culottes are in this summer, apparently. Can I pull off tropical-print culottes? Definitely. 5. Best get my normal size and another two pairs in the next size up AND the next size down, just in case. 6. Is this the kids’ section? Oh, no. These are Disney Princess and Minions t shirts for adult women. Excuse my ignorance. 7. This emoji one is SO CUTE THOUGH! Should I buy two? For when the first one inevitably goes grey in the wash, of course. 8. Why are all the knickers with nothing written on the arse out of stock in my size? 10. Now to pick up the essentials: 60 denier tights, hair bobbins, 3 x pairs of pyjamas. 11. 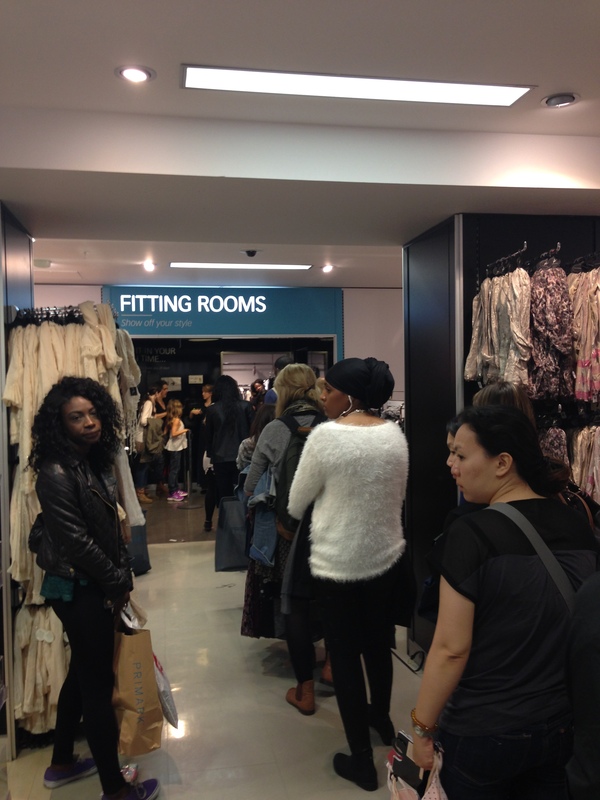 To the fitting rooms! 12. Actually, y’know what? Never mind. 13. I don’t need about half of these things, really. If I’m being totally honest with myself. 14. Right. No more browsing. No more. Get in the queue, before you do even more damage. 16. This is not a ’5.30pm on Tuesday’ queue. This is a ‘Saturday at 2pm’ queue. 19. It’s finished. It’s done. Email “19 thoughts every girl has while shopping in Penneys ”. Feedback on “19 thoughts every girl has while shopping in Penneys ”.